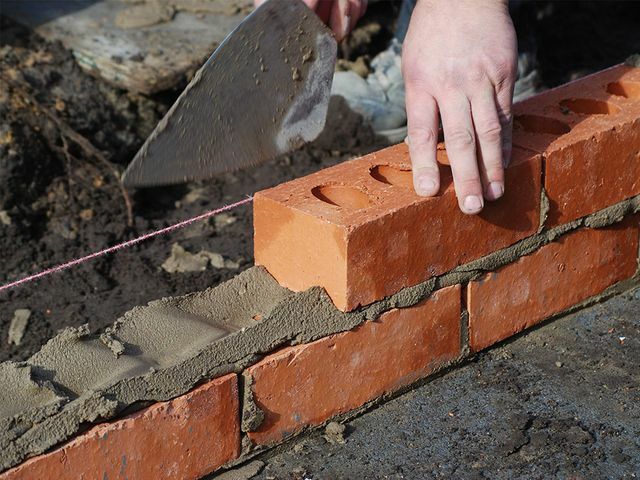 I wanted to share the attached article because it offers really good practical and informative advice for tradespeople running their own businesses. The focus of the article is on how you develop your brand. However your business is set up and however you trade, e.g. whether you’re a sole trader, a partnership, a limited company, a collective or another model, your brand matters. Getting started isn’t difficult and our friends at Simply Business have included some great tips for you. Why should you read them and follow the advice provided? Having a recognised brand broadens and improves recognition of you as a provider of a good product or service and has a number of key benefits. I’m not going to cover them here because they’re pretty well-known. But you can find a good summary of them here. So you’ve got your brand in place, you’ve followed the helpful guidance in the attached article and then something goes wrong that may threaten to topple the value of your brand and its hard-earned reputation. What can you do to best protect your brand when something threatens it? That something might be as simple as a negative review from an unhappy customer, or someone recommending one of your rivals rather than you. It might be something even more fundamental, for example, where there is a problem with the supply or delivery of your product or service or where someone spreads the word that you don’t pay invoices on time and you end up, rightly or wrongly, attracting a reputation for being a bad or unreliable payer. Whether there is truth to these statements or not, what you do and how you act in these situations can make all the difference to your brand reputation. Of course the best position is always that prevention is better than the cure. Listening to customers, seeking feedback, being professionally and financially organised and not giving anyone cause to complain about you all help to avoid the above scenarios. Being proactive in addressing concerns and providing quick solutions, where this is reasonable and you can do so, will also help to dissipate any potentially awkward or damaging situations which could otherwise motivate negative conversations about you. - Payment terms i.e. do you want a deposit, staged payments or payment on completion? And what will you agree to if the arrangements include payment obligations on your part? - Include the standard legal terms that need to be in consumer contracts, if relevant (for example cancellation notices, alternative dispute resolution schemes etc). Further details on these requirements can be found here and here. - Where possible, agree that the customer should give you the right to rectify any issues in the first instance. 2. If during the course of your relationship with any customer, it becomes clear that extra work by you is needed, it’s always best to get the customer’s permission in writing before carrying out that extra work. (On consumer contracts you may need to issue new cancellation notices. More details can be found here). 6. Take photographs of the completed work where possible. 7. Remember to supply a clear and easy to understand invoice and send it on time. Don’t be embarrassed about sending polite reminders about being paid if your invoice isn’t promptly paid by your customer. Contracts with suppliers aren’t covered in this blog but it’s important to manage your supply relationships using similar tips to the ones outlined here as well. I do hope that you find these tips useful. For further reading we’ve created a free quick guide that explores the question of whether your terms and conditions are best protecting you. The easy to use checklist within this guide is a particularly useful tool in ensuring that you have all the important factors covered to help to protect your brand. You can access the guide here. Trade is changing fast, with online listing and review sites expanding the reach of word-of-mouth recommendations and customers increasingly finding tradesmen online. This makes your brand – including your reputation and how you promote your business and stand out from the crowd – especially important.